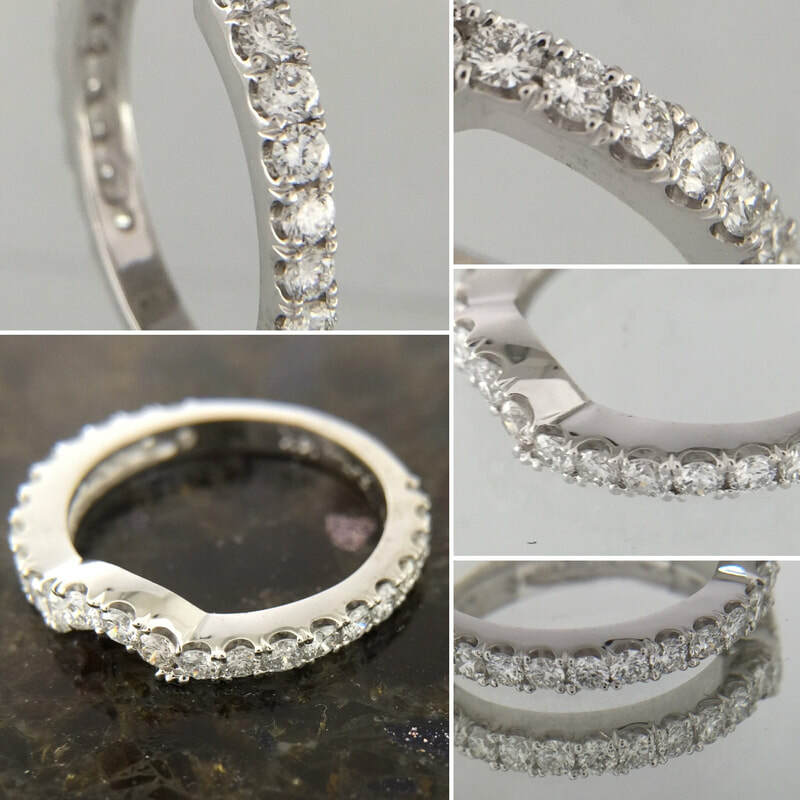 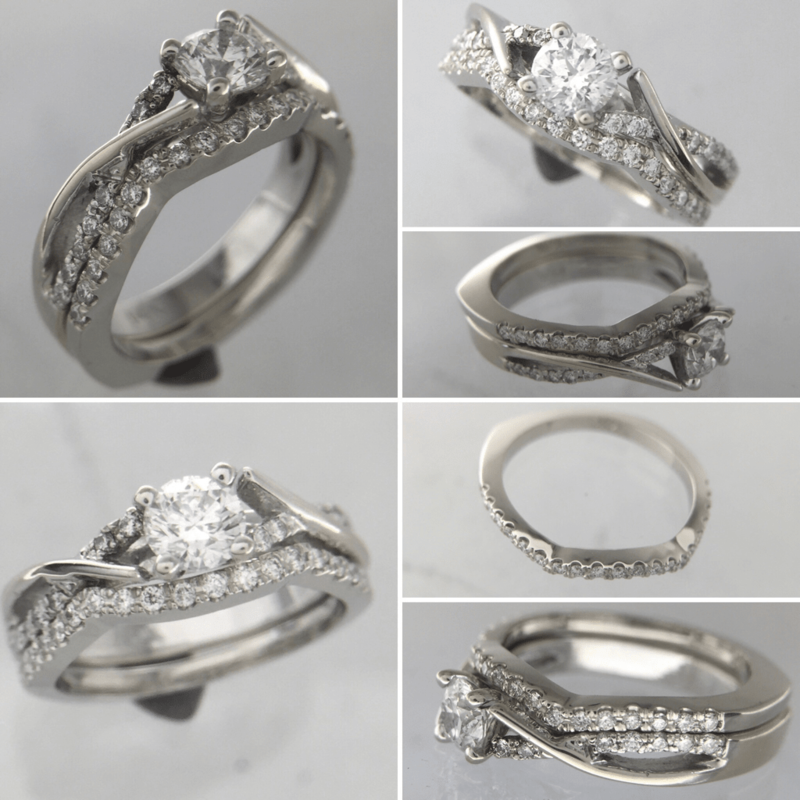 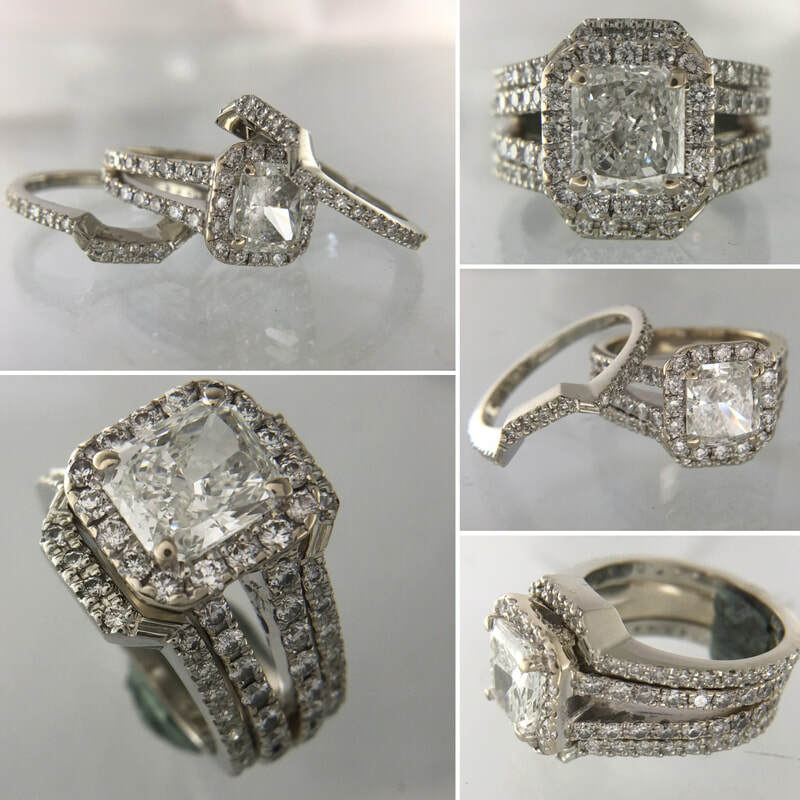 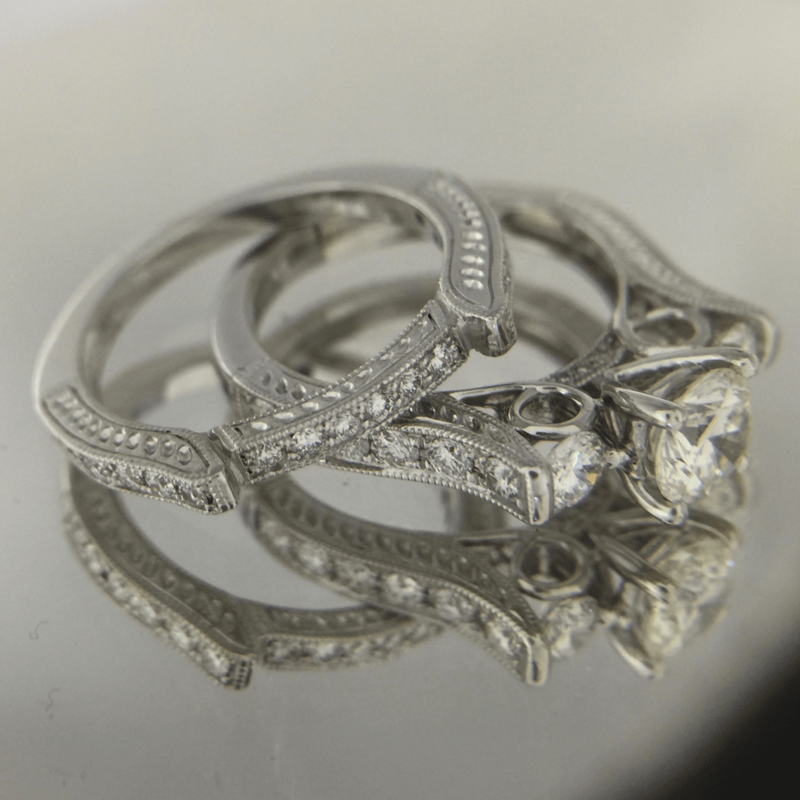 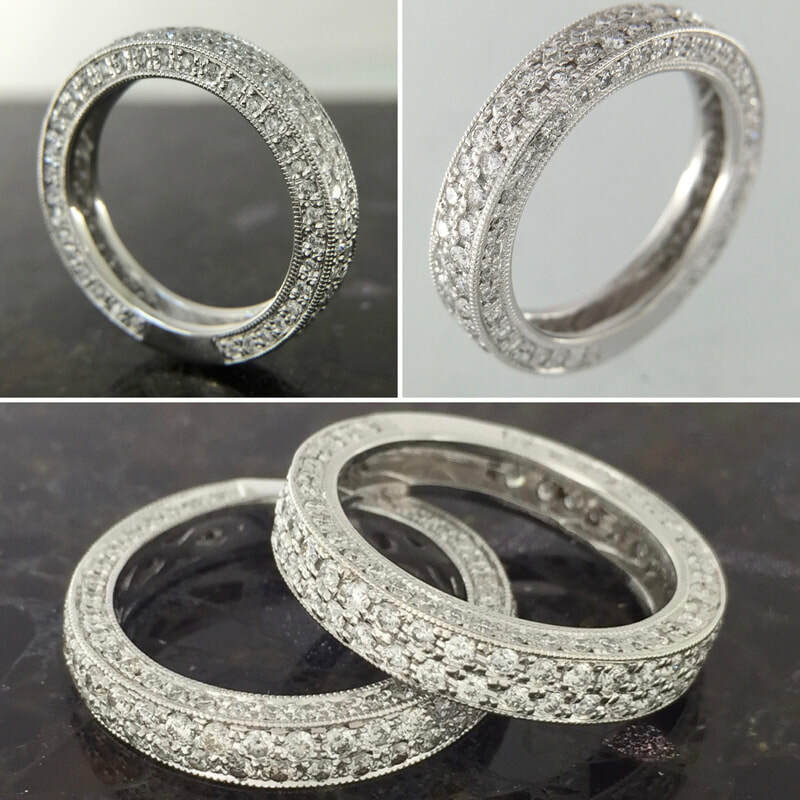 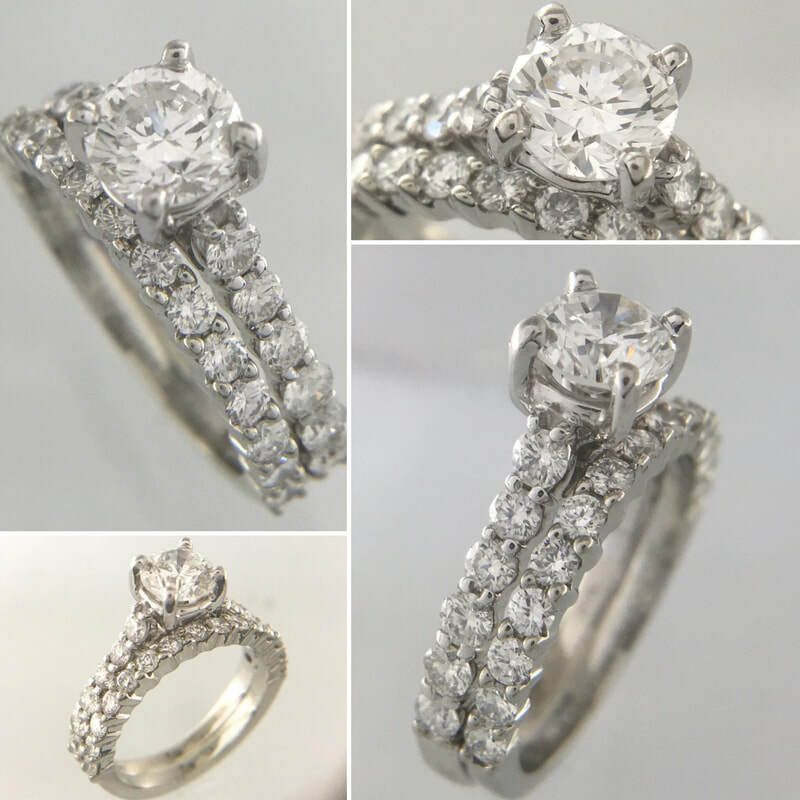 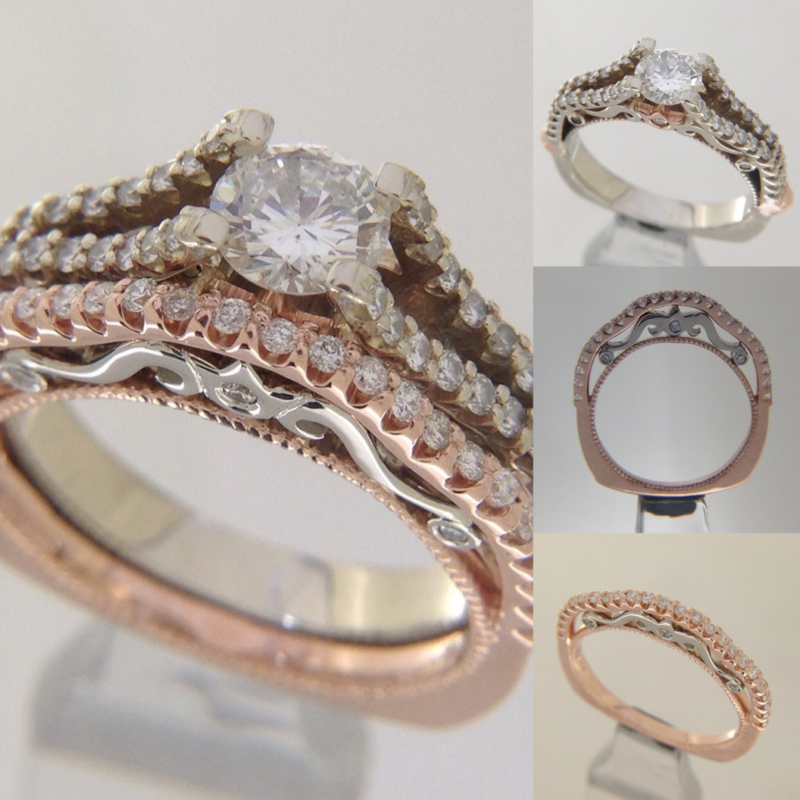 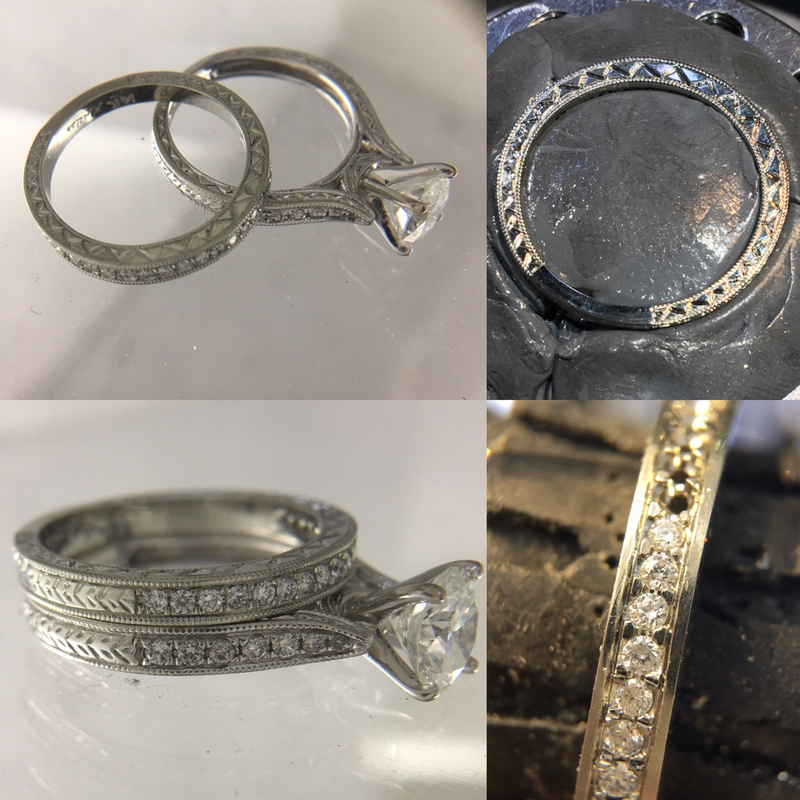 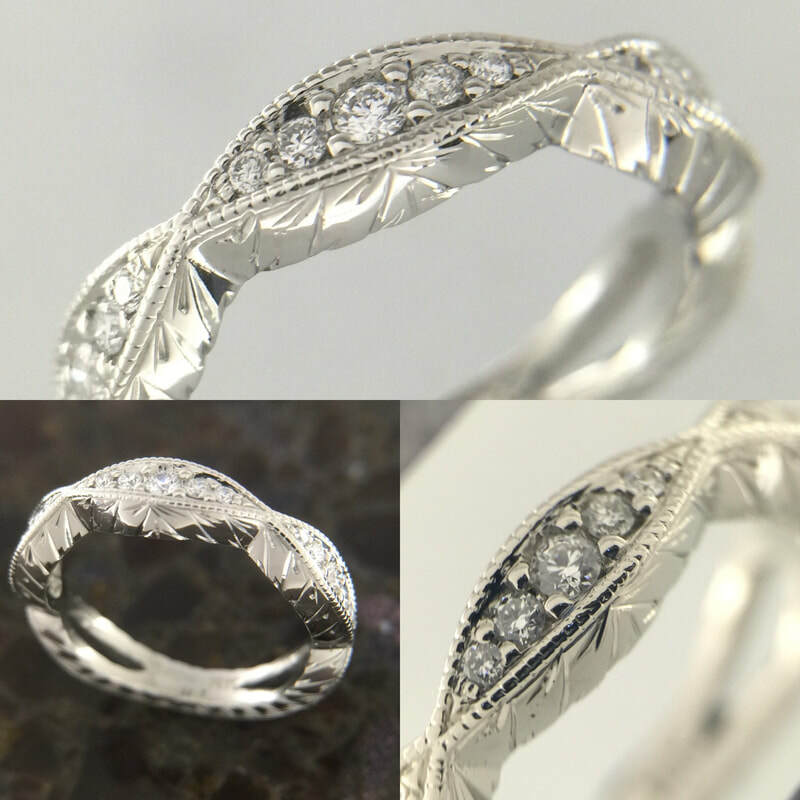 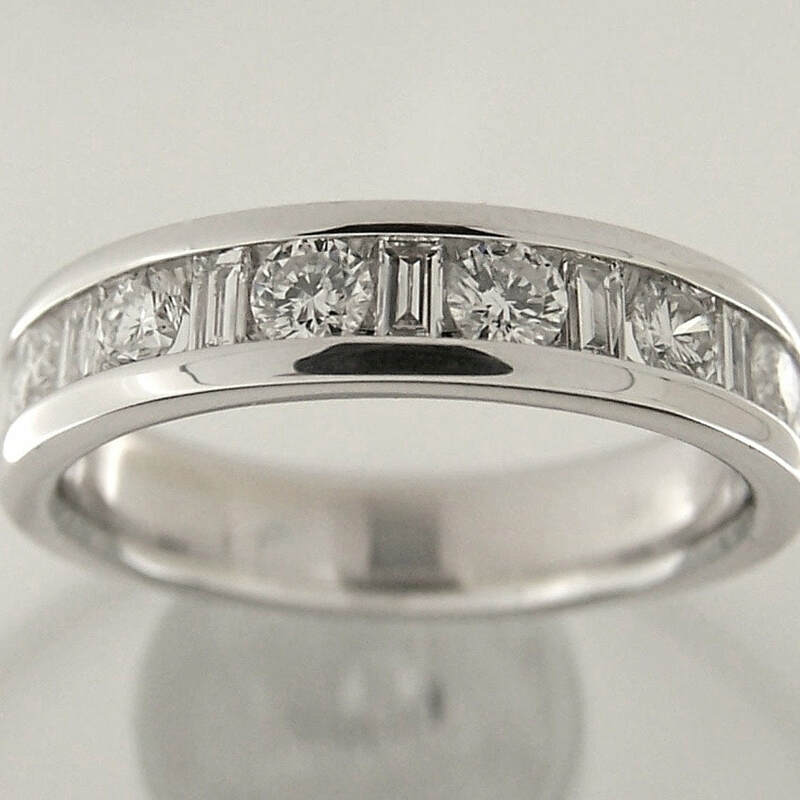 Our staff can design, with you, a matching shadow wedding band to follow the contours and features of your engagement ring. 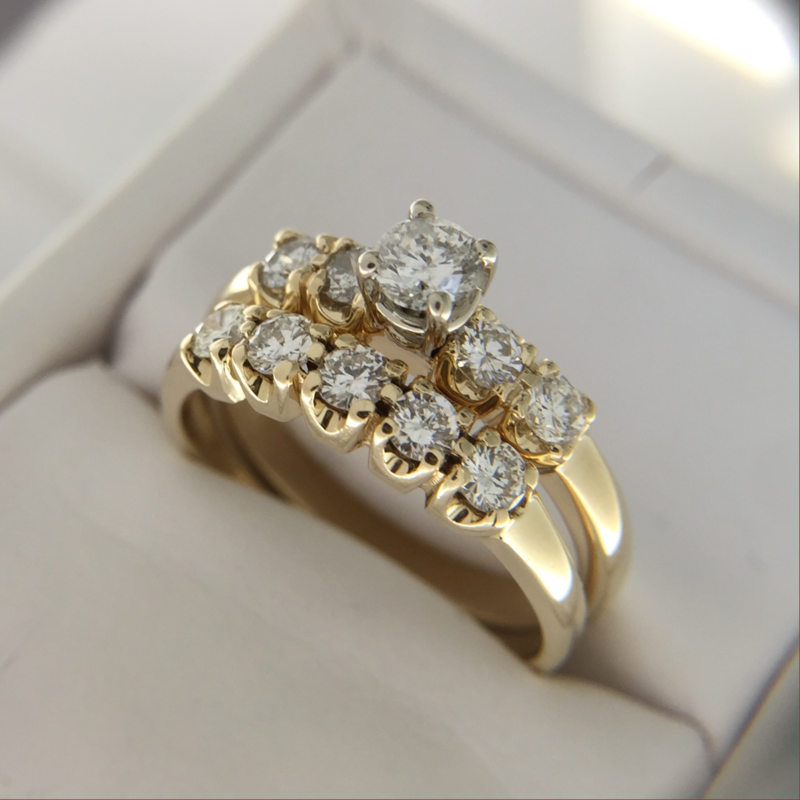 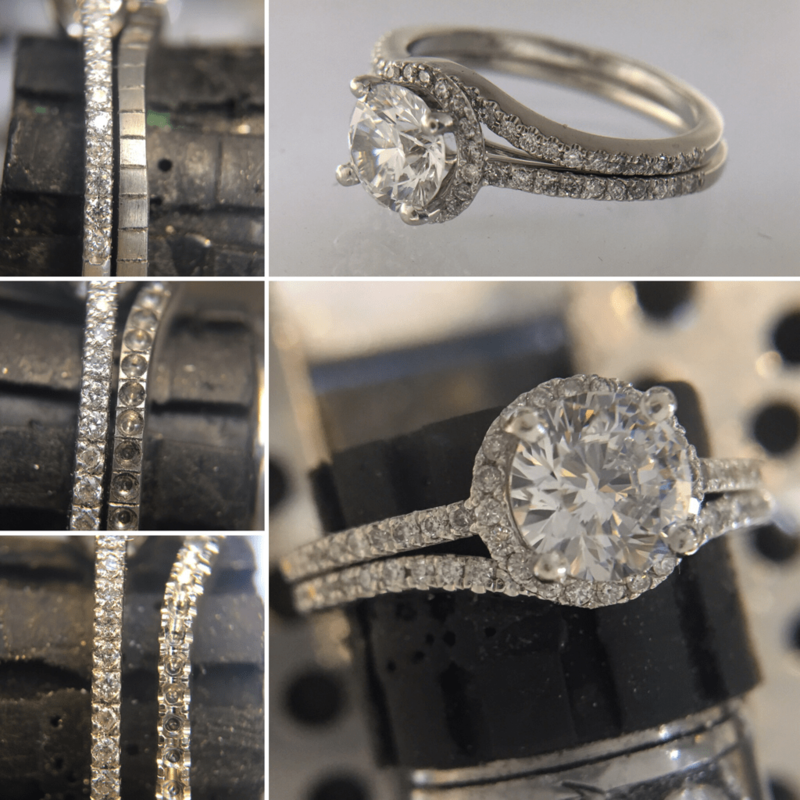 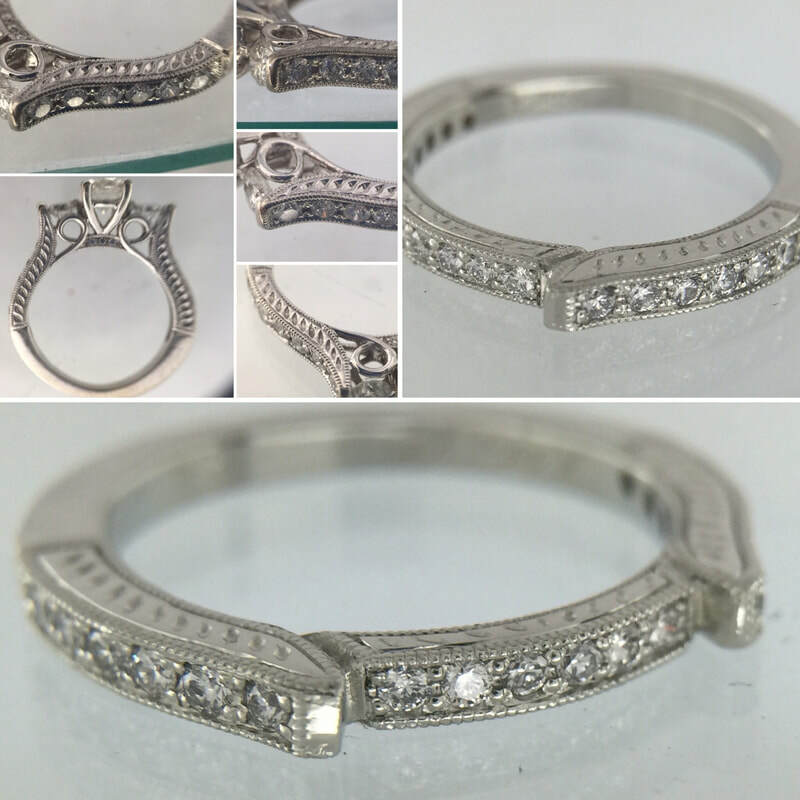 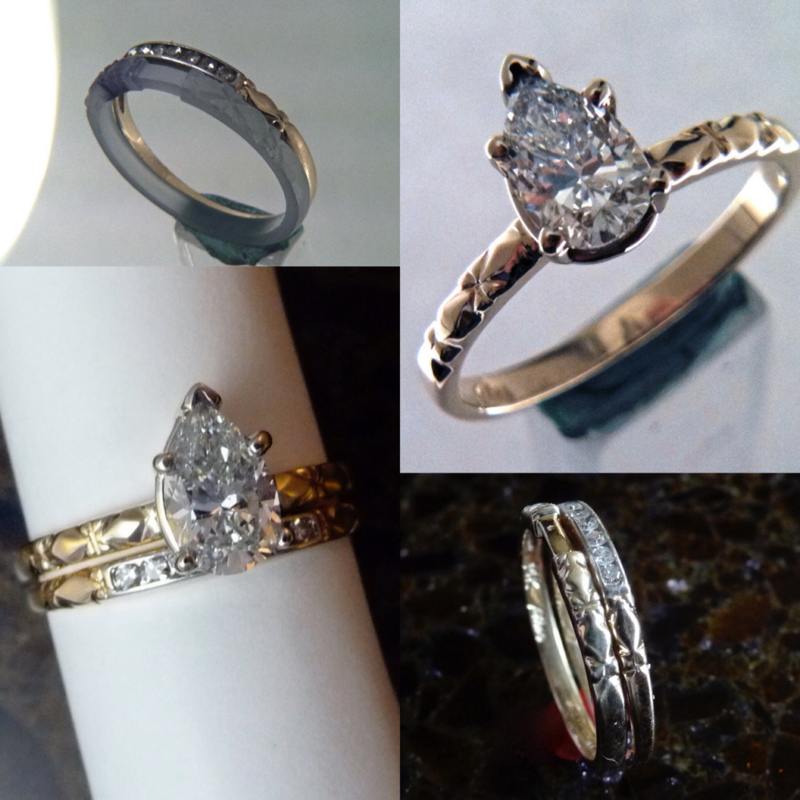 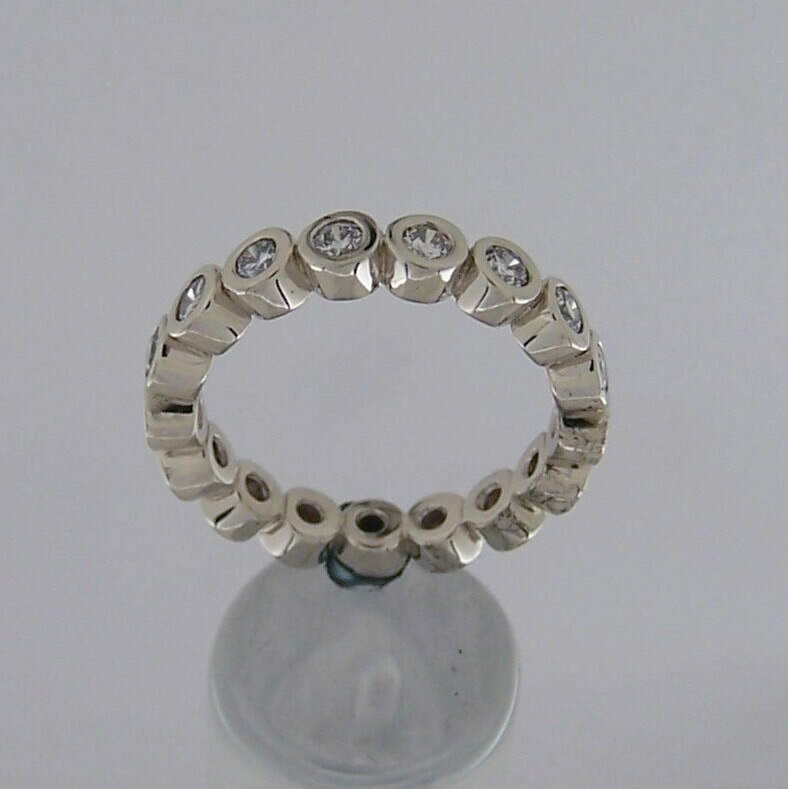 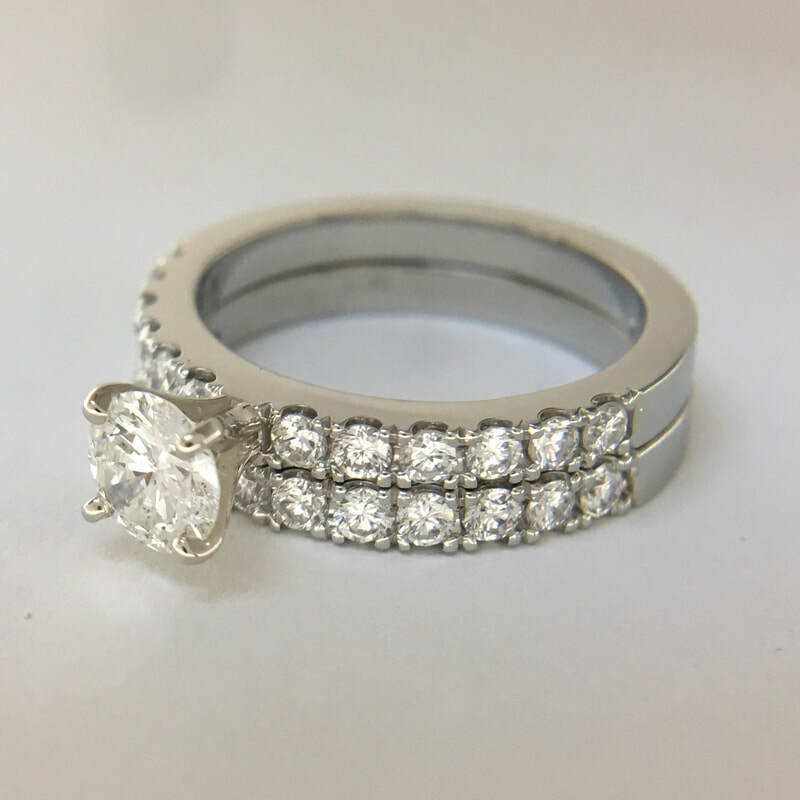 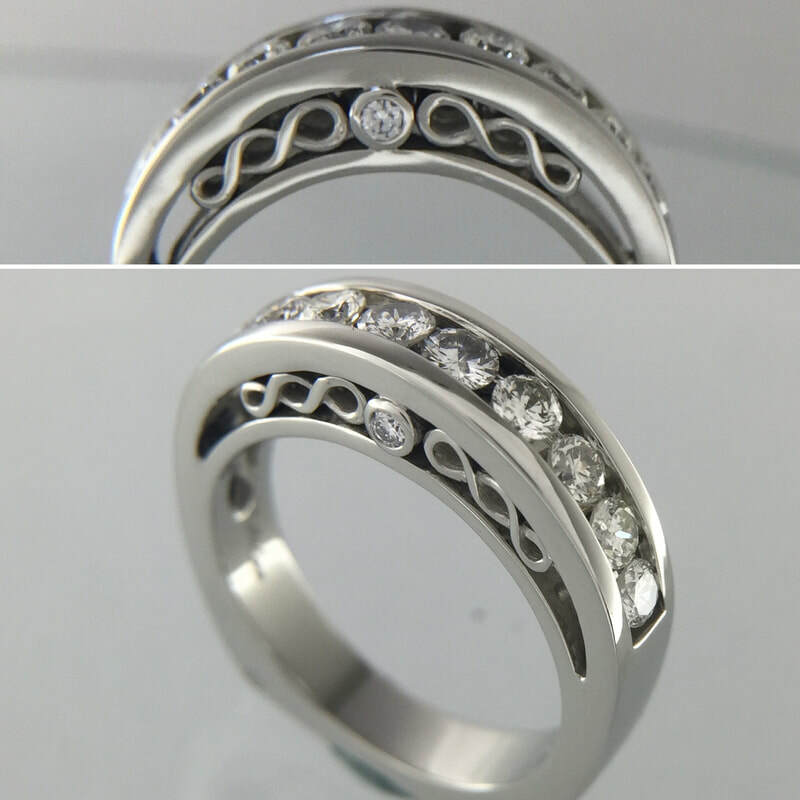 We can design bands with or without stones or reusing stones of yours. 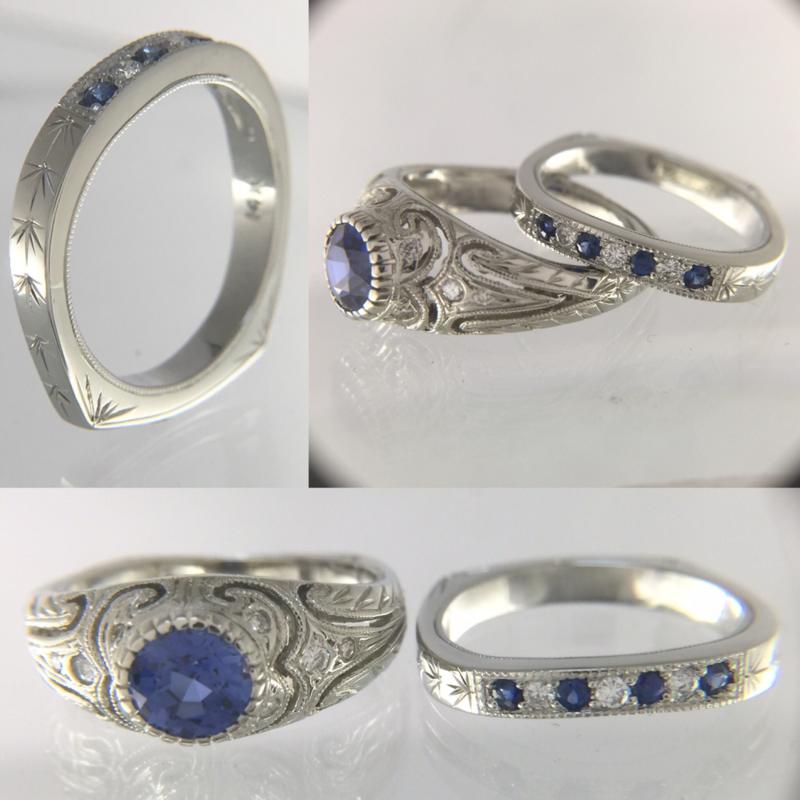 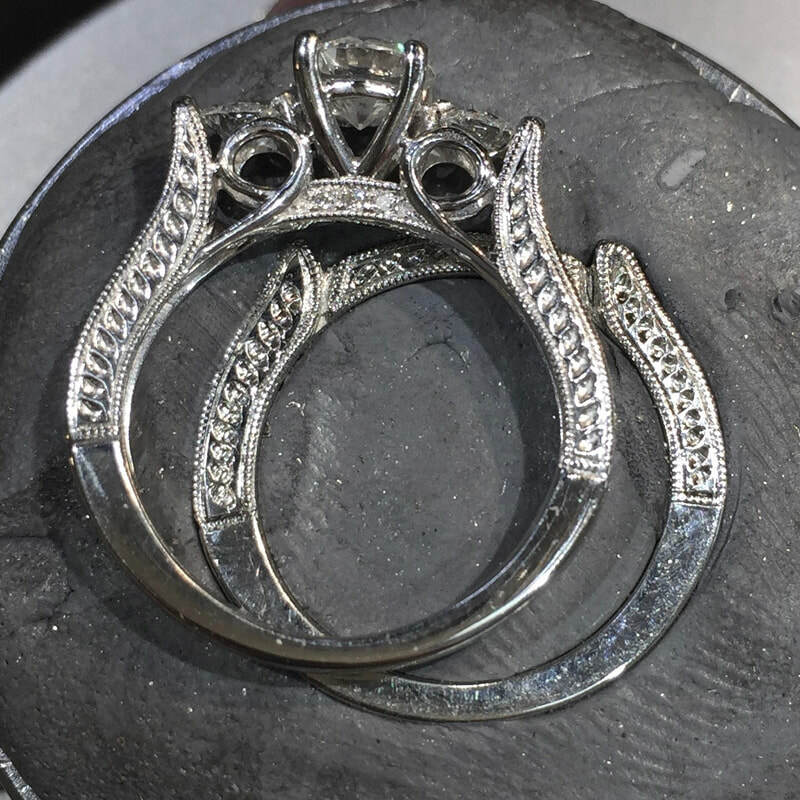 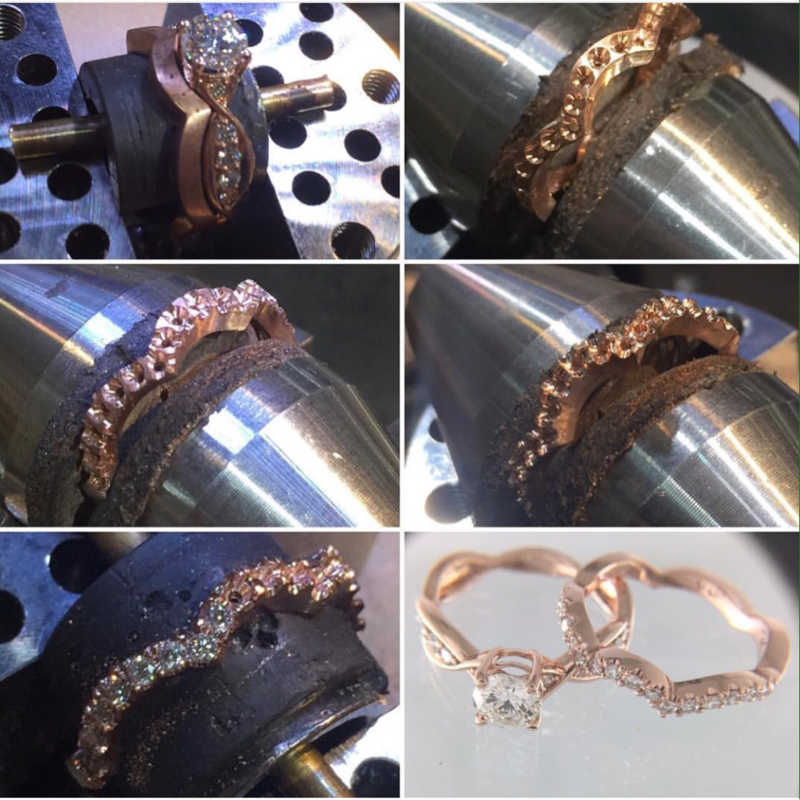 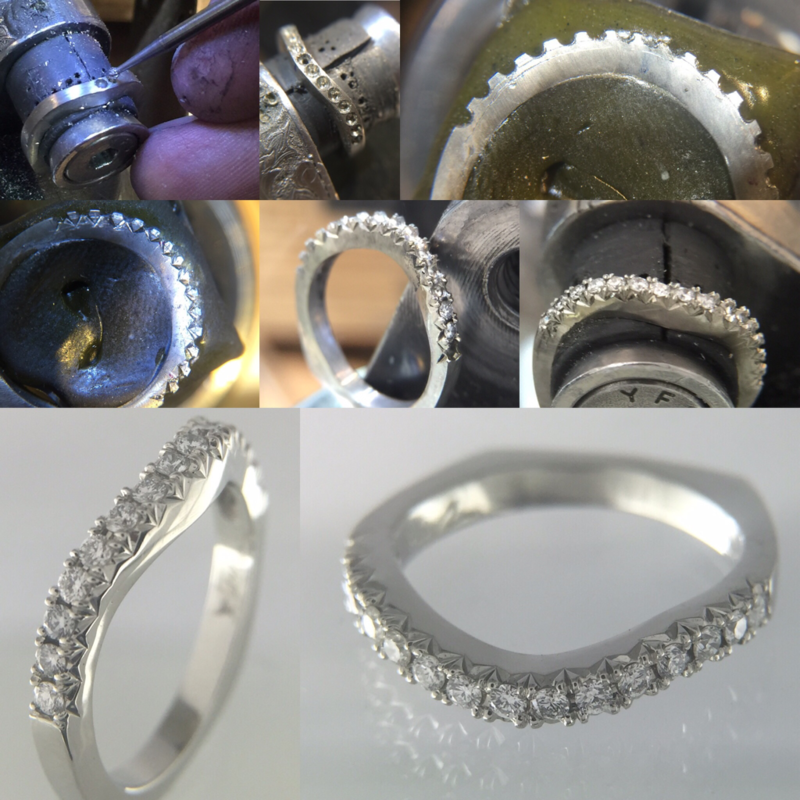 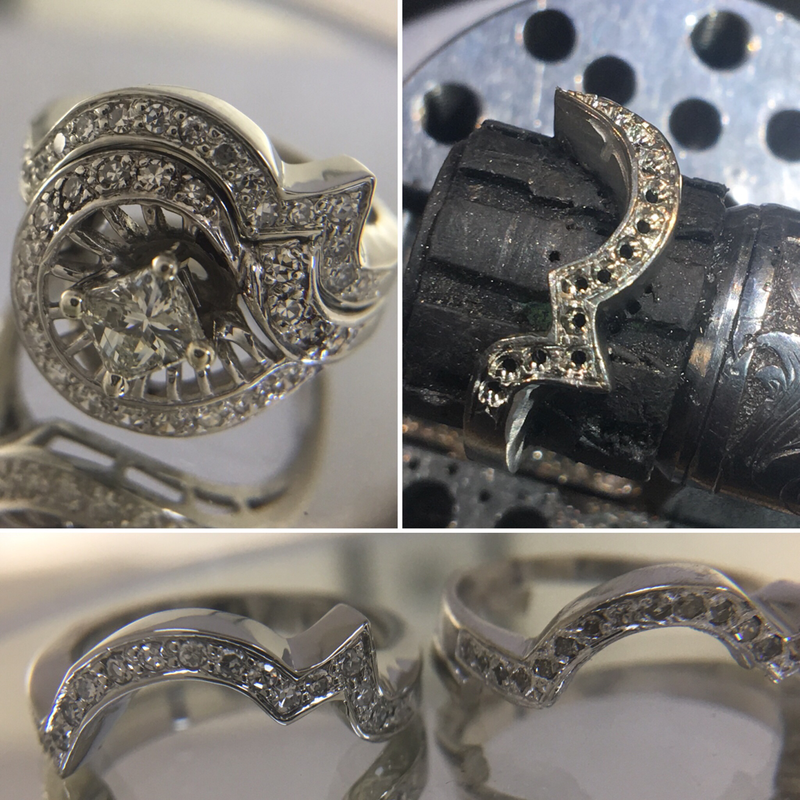 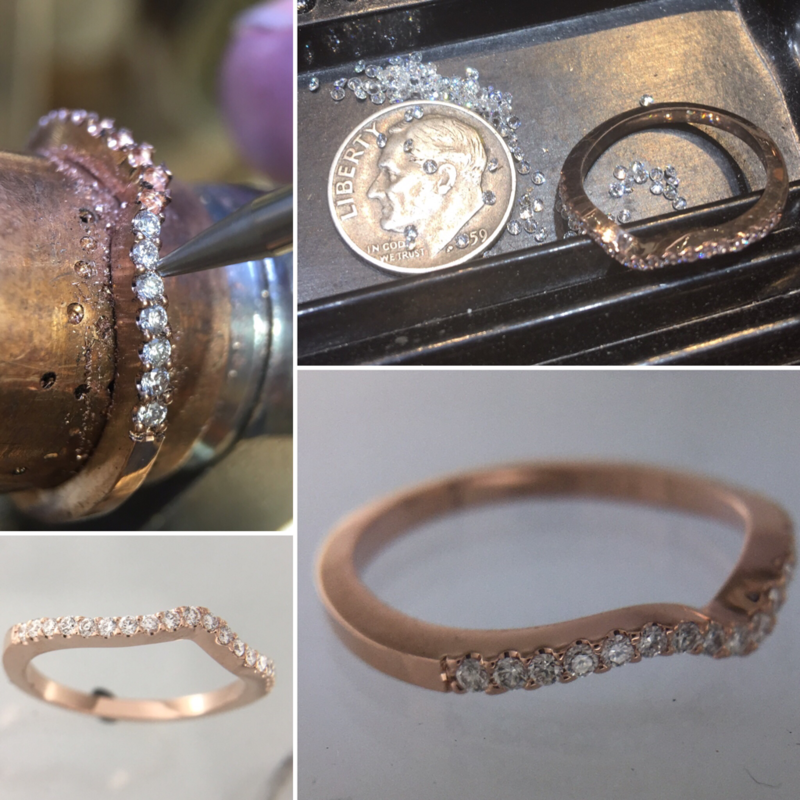 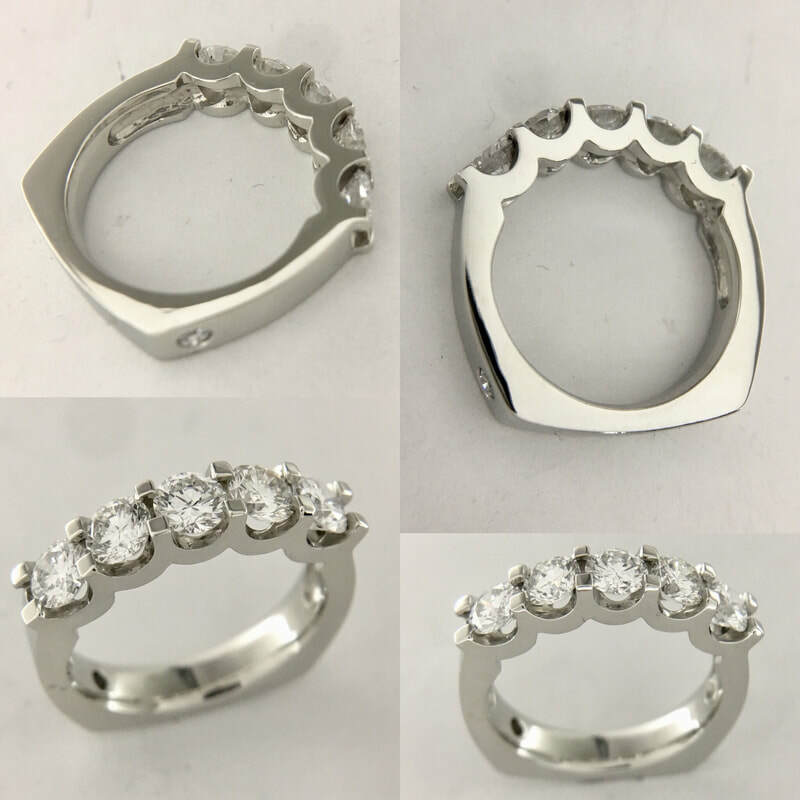 Our goldsmiths can utilize the same craftsmanship and techniques to make it look like they were made at the same time by the same maker.